Summer, 2010. My life had taken an unexpected u-turn on the job front. It threw me for a loop at first, but looking back now, it’s one of those events that defined me. Or at least set me on the road to figuring out who the heck I am. At 37 years old, I still didn’t know. With a lot of time to ponder life, a story popped into my head. One that came from ::ahem:: ‘dreams’ of the daytime sort, and no, I won’t elaborate more on that. 😉 My crazy imagination spun and twisted ideas, characters, settings and a collision course for my heroine and villain to follow. I lived and breathed the story in every quiet moment, playing scenes like movies in my mind. I’d taken an online writing course or two. I knew I had it in me, somewhere deep, to create a story that would entertain … well … someone. So, I opened my laptop and typed Chapter 1. I find that blank page daunting, always. Daring me to fill it with something interesting. And I’m not one to back down from a challenge like that. Six weeks later, I had the first draft of The Glass Man stewing in my laptop. With the help of my buds from the Sisterhood of the Traveling Pens at Scribophile.com, I had it polished up in another six weeks. To my utter shock, most liked the book. Yes. Mine. The one that came from my own mind, heart and soul. I’d entertained someone. My goal had been achieved. I knew how hard the publishing world could be, and I held little hope that my baby would ever reach any readers beyond my writer friends. I was okay with that. Though, fine, I admit it, I did fantasize about holding my own novel in my hand one day. By some fantastic twist of fate, I got in touch with a new and crazy-talented publisher, J. Taylor Publishing about The Glass Man. Their response: We want to publish your book. WHAT? After reading the email about a hundred times, pinching myself until I was certain I was awake AND made certain I hadn’t slipped into an alternate reality, I responded: Um … hell yes! Okay, so I didn’t say that in my response, but translate that into something moderately professional with a hint of excitement, and there you have it. There were so many exciting moments over the last six months. Signing a contract. Seeing the cover design for the first time. Getting a release date. Bookmarks, cool pictures, pre-release reviews. Today, I’m going to be signing the first run of paperback novels at Chapters Bookstore in Peterborough, Ontario. A real bookstore. My novel! I am, truly, living my dream. And now I know who I am. I’m an author. A professional daydreamer, and proud of it. RELEASE DAY!!! 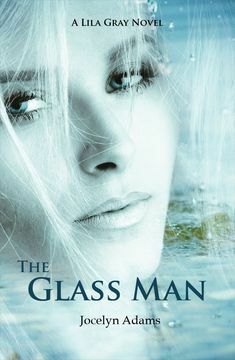 The Glass Man is now available!!! This week we’re revisiting The Glass Man. In this scene, Parthalan (villain) and his lackey, Rourke, are discussing how to dress my heroine, Lila, for a public ceremony. He kissed me, but I stayed rigid while his tongue wormed its way between my lips. Vomiting into his mouth would have been satisfying, but it wouldn’t come. He is a naughty boy, isn’t he? Six whole days to go and my baby will be unleashed upon the world! Woo hoo! Don’t forget to click the Six Sunday link at the top for the the rest of this week’s entries. 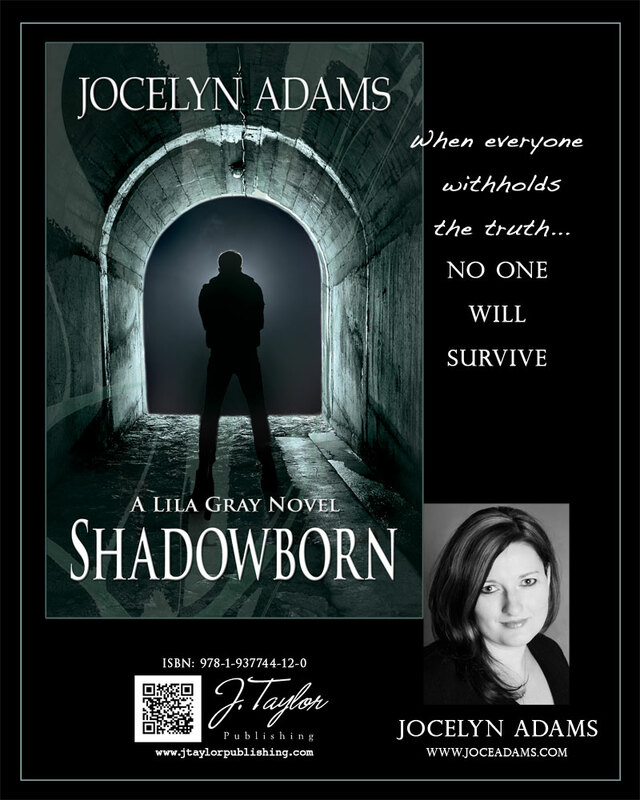 In celebration of my upcoming release, I’m giving away a signed paperback on Goodreads. Giveaway ends October 15, 2011. I’ve always had stories rattling around in my head, but this one wouldn’t leave and what started as a short story blossomed into a series. Now I have all the other stories pushing to get their say on paper too, but this one is my heart. I hear you on the stories rattling around. I often have that problem myself. 🙂 If you had to choose, which writer would you consider to be your greatest mentor? Gosh…I’m going to say JK Rowling. Harry Potter reignited my imagination and made me stretch my limits and then made me stretch some more. Chrysalis took me out of my comfort zone and while it’s an adult read it stretches your imagination. I love her books, too. Tell us about your book, Chrysalis – The Awakening. Introduce the main characters to us. All families have secrets. At 32, Bree Campbell discovers her entire life has been a secret. A human born into a family of magicals, she begins questioning everything and everyone around her. The prophecy told at her birth speaks of a Chosen One; the last and greatest of a long line of Chosen Ones charged with saving both the human and magical realms. Bree must face this reality and life with her new family; a clan of vampires protecting her. The sorceress, Esmeralda, will stop at nothing until this Chosen One is dead. None could then oppose her and she would be free to rid the world of all humans. Will Bree awaken the hidden powers and find inner strength needed to save the world? Characters: Okay, there’s Bree, she is the heroin of the story. Then there is the clan of vampires that has protected her: Steven, her intended, her soul mate, her ultimate love. Bradley, the Alpha of the clan, Rick, and finally, Bill, who is her cousin…but not her cousin. The women that are in the clan: Madalyn – Bradley’s wife, Sandy – Rick’s wife, and Gina – Bill’s wife. Bree’s grandmother, Gran, as Bree calls her, makes several important appearances in the story. Then there are the evil-doers: Esmeralda, Bree’s arch nemeses and her henchman, Thomas. There are multitudes of twists and turns and when you think you are heading in the right directions…it turns again. The story takes place over seven days, with one side trip to Yellowstone, in Las Vegas. Bree knows nothing of the magical realm, or who or what she is to become. She joins her grandmother on the trip on the guise of going to a reunion, but the real reason is to make her aware of the magical realm…and reunite her with Steven…why you ask…you need to read the book to find out. Sounds fantastic. I can’t wait to read it. Is there anything you find particularly challenging in your writing? Staying away from the safe, the tried and true, and stretching out and trying new things. Do you have any rituals when you sit down to write? Coffee, certain music playing, that sort of thing. I get up on the weekends, turn my computer on, make me a cup of coffee and sit down and type…and by the time I take my first drink of the coffee, it’s gone cold. I like it quiet. I like to hear the keys clicking on my key board and I type whatever comes in my head, I strive to get a chapter out in one sitting. Then I walk away, and when I come back a hour or so later…or longer, I re-read what I wrote, and continue. I don’t edit, I don’t worry about punctuation, grammar, spelling–nothing until the very end. When I’m completely satisfied, I then give it to my beta reader and wait for her feedback…and then I edit some more. All in all it takes me about 7-9 months. I like quiet, too. It’s amazing how quickly time can go by when we’re doing something we love. What advice would you give to aspiring writers who dream of publication? Stay true to your story, stay true to yourself and keep plugging along. I’ve been writing for only 5 years and have 4 books written, but I’ve been a dreamer for 50+. Yep, I agree. Perseverance often equals success. Tell us your latest news and what’s next for you. All that Kelsey had thought to be true her entire life, shattered upon hearing her grandmother’s deathbed confession; her parents had not died in a fire when she was three. Along with a box of letters and cards sent to her grandparents when she was a child, her grandmother shared the awful truth that, although her parents, had planned to return for her, they never did. For reasons unknown, her mother’s family would never accept her, and there was someone who wanted her dead. Having promised to never remove it, the necklace she wears is the only thing protecting her. Her only clues are what she finds in the box, which isn’t much. The cards in the box were purchased in Keystone, South Dakota—a place unbeknown to the human realm, where magickals lived. Unaware of that fact, Kelsey embarks on a journey to find her parents, learn who wants her dead, and discover how and why the necklace protects her. How did this happen? There’s only one month left before The Glass Man is unleashed into the world. My little baby has grown into its own and it’s almost time to set it free. I’m ready, I think. There seemed to be so much time to get everything done, but time slipped away and the big event is almost upon me. Deep breaths. Lower the pulse from a sprint. To celebrate, I’m giving away two, yes TWO signed book marks like the one below. Leave a comment below with the first and last name of my heroine in the book. Simple, right? I will pick two winners from all those who leave a comment on this post with the correct answer. Please make sure to leave me a way to reach you, either an email or link to your website where I can contact you for an address if you should win. Here she is, the face of Lauren Mclean in Touch of Frost. I couldn’t have dreamed up a better image to represent the book if I’d had a year to do it. Another testament to the talented designers at J. Taylor Publishing. Here’s the blurb for this little lovely, due out on February 1, 2012 in eBook formats. 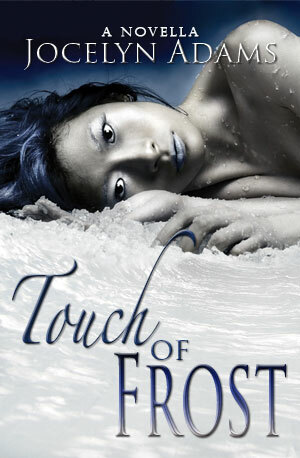 Visit my website for some downloadable goodies for Touch of Frost, like a nifty desktop wallpaper for your PC.